Ryan in the Kilt Arrives from Virginia! Some things are just impossible to put into words. How, for example, can I possibly explain my state of confusion when my BFF texted me, “Emergency! Do you have Ryan in the quilt?” Or my speechless joy when we finally sorted out that, in fact, it was a kilt Ryan was wearing, and she had found him in the wild, at a K-Mart in Virginia? But yes indeed, my BFF had found the doll I’d been looking for. 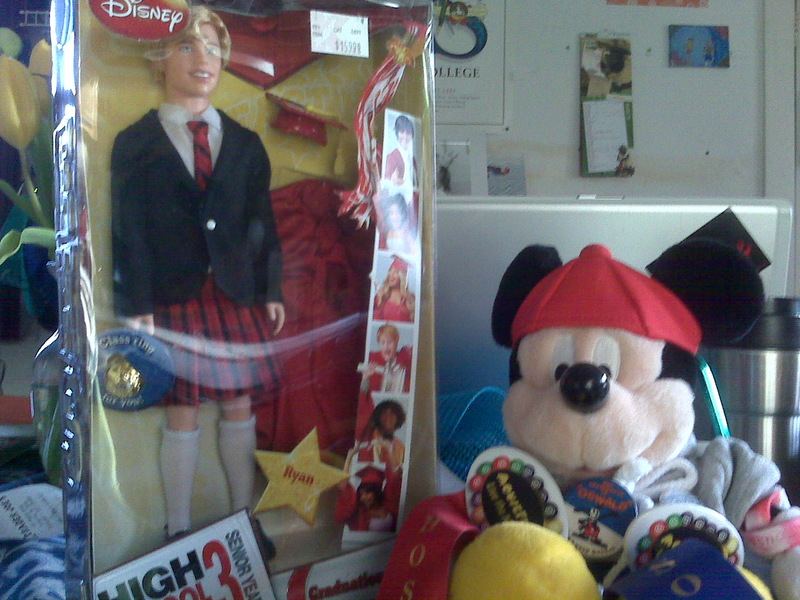 That same doll that I could not believe existed when I first found it online, for which I hunted in every WDW gift shop and my neighborhood big box retail establishments. And yes, I could have bought it online (using my own Amazon store, no less), but it would not have been the same….it had to be an authentic sighting in an old fashioned brick-and-mortar. And there he was. Of course, I couldn’t keep news like this to myself, and I wanted to keep it a secret from my son until the package arrived in the mail, so I sent mail to a friend and fellow queer High School Musical addict, who asked the truly important question: What do his legs look like? Now, this would have seemed like an odd question, did I not know that some speculate this unexpected kilt-wearing Ryan doll is in fact just leftover schoolgirl dolls recast into our effeminate friend. But no, I’d say the record suggests that this doll was, in fact, originally conceived of as male. Which still leaves open the mystery of how on earth this doll came to pass, and whether there was some alternate “everybody’s Scottish!” ending that will someday show up in the bonus features section of an HSM multi-disc compilation. 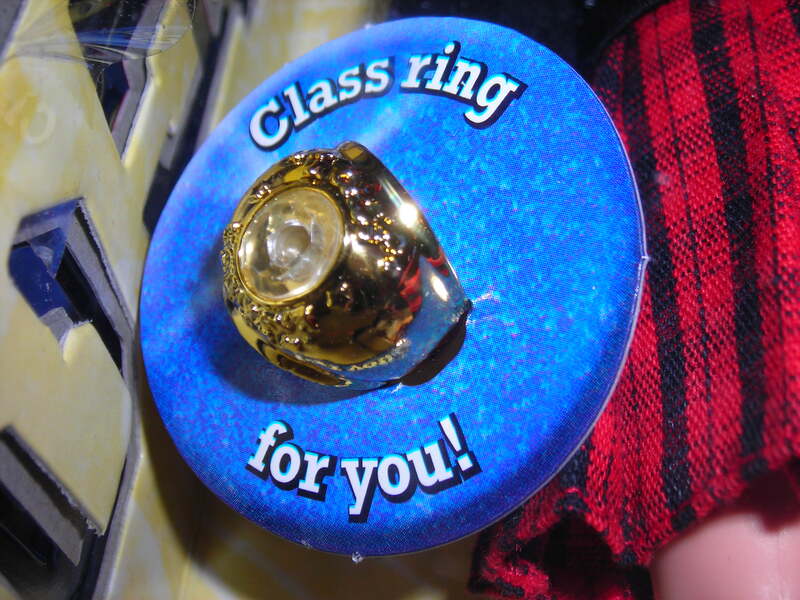 I can’t bring myself to open the box and see whether Ryan’s class ring might fit me. And usually I’m not one of those collectors…none of my Beanie Babies have tags, thank you very much. But this time, the packaging is as much of a thrill as the product itself. Without the packaging, one might just think I myself cross-dressed a Ken doll, and where’s the subversive thrill in that? Plus, who knows, maybe Ryan in the Kilt will be the future Growing Up Skipper? 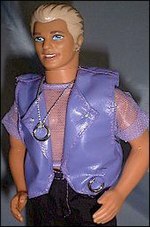 …Ken’s entire Earring Magic outfit looks like three-year old rave wear. A Gaultier purple faux-leather vest, a straight-out-of-International-Male purple mesh shirt, black jeans and shoes. It would seem Mattel’s crack Ken redesign team spent a weekend in LA or NY, dashing from rave to rave, taking notes and polaroids. Originally priced at $11, Earring Magic Ken now sells NRFB for around $47 on the secondary market. By Christmas time in 1993 most stores were completely sold out of Kens, largely due to the Gay community’s interest. Earring Magic Barbie and Midge were left on the shelves without a partner. Earring Magic Barbie was also available at Radio Shack that included software. Hello, Earring Magic Barbie and Midge left without partners? I’d love to think that kilted Ryan dolls have simply been scooped up out of stores by savvier shoppers than I, but an eBay search for “ryan hsm3” turns up nada. And no, I am not particularly ashamed that I have now written three entire columns about this doll, and that I’ll be talking about it again on an upcoming episode of Those Darn Cats. So there. Does Russia Needs Its Own High School Musical? What would I do without my friend Danielle? Without her, I might have never heard about the Russian rip-off of High School Musical, First Love: It’s the Music! And no, it’s not just a random copy-cat…according to IMDB, it was co-written with Bill Borden, with plenty of High School Musical credits to his name. Idolator has more commentary for your reading pleasure. Of course, any HSM fan will notice the other funny thing about this badly-translated item from Engrish.com is that Gabrielle is not the person on this page most likely to comment on the likability of jazz squares. Puh-leeze. Happy Valentine’s Day, Chad and Ryan! Missing the reference? Not an HSM2 fan? I’ve got a Jentasmic! column over at StudiosCentral to get you in the wise: Show You How I Swing: The Hays Production Code. I’ve learned a bit about our world in December, while shopping for High School Musical merchandise. The first thing I’ve learned is that America might not be ready for a boy doll in a skirt. 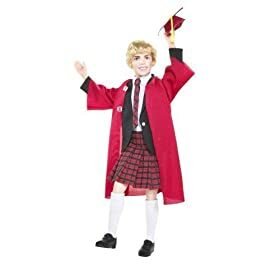 At least, that’s the only plausible explanation for the fact that no matter how many brick-and-mortar stores I check, I can’t find the HSM3 Ryan Graduation doll, in which our young hero is inexplicably dressed in a kilt and schoolgirl-style knee socks. (I would think this was some sort of strange interweb hoax, were it not for the pictures of that same doll featured on the back of the other HSM3 Graduation dolls, which I did in fact find everywhere.) And no, Ryan doesn’t wear that outfit at any point in the film; I watched carefully, both times. I scoured stores at Walt Disney World for days, looking for Ryan in a kilt, until a friend suggested that perhaps the stores weren’t stocking these dolls because they just couldn’t explain why he was wearing a skirt, since he never wears that outfit in the movie (and, she added, if he were going to wear a kilt it would be a far more fashionably-cut piece, perhaps by Gauthier or D&G rather than the JC Penney look he’s sporting). It had never occurred to me that stores might not be stocking it because they couldn’t explain it….but it is much likelier than imagining that they’ve simply sold out. And somehow I can’t bear the notion that they might have pulled the dolls from the shelves, so let’s not even go there. I learned, too, that the sales staff even at Disney’s Hollywood Studios is not likely to know HSM3 as well as the aforementioned friend and I. 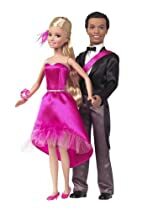 A charming and helpful Cast Member looked for a Ryan doll, and it quickly became clear that not only was he unfamiliar with Ryan, he could not differentiate between Chad and Zeke, even when said dolls were packaged along with their prom dates (Taylor and Sharpay, respectively). After we showed him a picture of Ryan in the kilt, he speculated that perhaps the boy’s “just really in touch with his culture.” I don’t think he meant that Ryan was Scottish, so I agreed. The toys we as a society choose to produce, and in turn the toys we as individuals choose to put in our children’s hands, tell our children what they should expect the world to be. A mother recently wrote into the Boston Globe to say how grateful she is that her 5-year-old son will grow up taking it for granted that an African-American man can be President of the United States. I hope my kid takes it for granted that he can date whomever his heart chooses, and select his wardrobe with similar freedoms. And if he wants to wear a kilt, I just pray it’s not from JC Penney. Would You Miss Ryan on Day Without A Gay? If you’re not actually gay but want to support the event, the organizers have given everybody a free “Gay for a Day” pass. You can participate even if you can’t miss work today. And, well, I’d take a gay day, but I’d already taken a vacation day today….I’m heading to Walt Disney World for MouseFest! So instead, I’ll just take a moment to reflect on what the Disney company might well look like without gay people. Actually, no, I don’t even want to think about it! I’ve already written for Jentasmic! about how sometimes Disney is just so gay. But a recent conversation with my husband brought me back to the real point of Day Without A Gay….gay people aren’t just styling our hair, choreographing our Broadway shows, and decorating our interiors (ahem), as important as all those tasks may be. They are also delivering our FedEx packages, removing our appendixes, teaching our science classes, writing our Web 2.0 databases, working in our factories, flying our airplanes. Animating our favorite films. Delivering our Dream Fast Passes. Serving our Scopa Special at Le Cellier. Driving the Magical Express (oh, that last one sounded kinda off-color, didn’t it?). My life is richer because I was one of those queer drama geeks, and because I have plenty of them in my life today. If you’re a Disney fan, I’ll bet your life is richer because some of those queer drama geeks have produced, performed, and supported movies and park attractions you enjoy. So even if you have to go to work today, feel free to use that free “Gay for a Day” pass anyway…we’re all in this together.